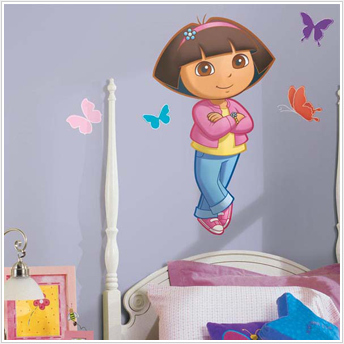 This giant Dora the Explorer wall sticker is every little adventurer's dream come true! Applying is easy: just peel and stick. Since these are completely repositionable, Dora can be moved from room to room at any time with no problem (and no sticky residue). 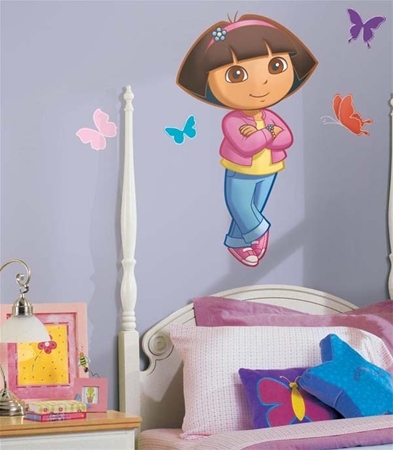 The perfect addition to a little girl's bedroom! 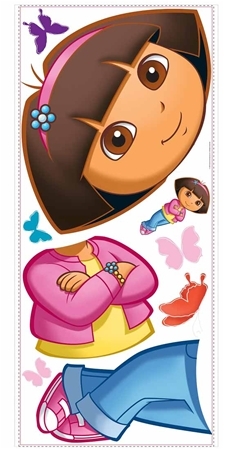 Pick up our matching Dora the Explorer appliques, or a giant Go, Diego, Go! 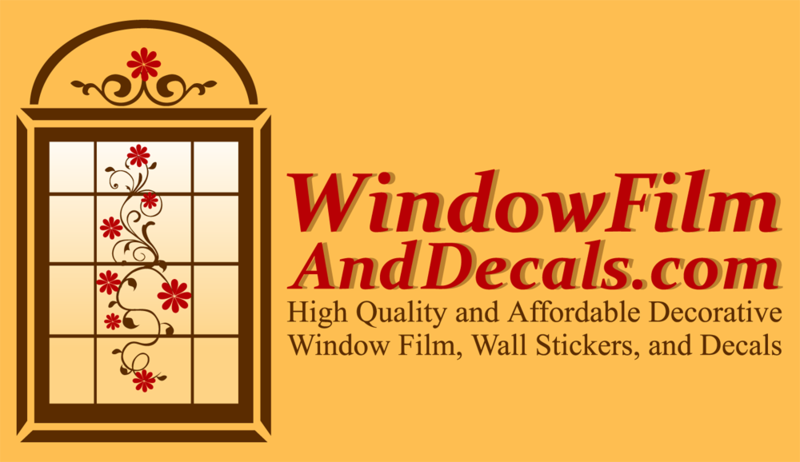 wall decal (both sold separately) to complete the look. Can be reapplied to their original liner sheet for re-use at a later date or another location.